A good idea for a book, could be to dig in behind the scenes of the incredible global spending spree of Chinese companies like Dalian Wanda, Anbang and HNA. I find this whole thing very interesting. I won’t have time to go into all the details here and I don’t have all the details myself either (I think very few do). But I encourage you to read up in media on what these companies have been up to lately. I think quite a few “special situations” will occur over the coming years, when these companies need to unwind their massive oversees holdings. HNA seems to be the one who hold most listed equities. When you are operating in China it doesn’t matter how successful you are if you are not aligned with what the Government believes you should do. Beijing stepped in last year to curb the spree, worried that companies were overpaying for foreign assets and draining China’s foreign currency reserves, while relying on risky financing methods to fund acquisitions. When Beijing identify your company as borrowing too aggressively and call you as a leader in to comply, you just comply. It’s not only that Beijing is telling them to do so, HNA seems to be severely strapped for cash to meet it’s huge debt obligations, mostly to local Chinese banks, but also bond holders. It seems the big unwind for HNA has now started. Earlier HNA disclosed that they have started to sell some of their 10% position in Deutsche Bank. Their stake in Park Hotels valued at 1.6bn USD is for sale and just recently they announced the intention to sell its 26% stake in Hilton Worldwide, valued at ~6bn USD. 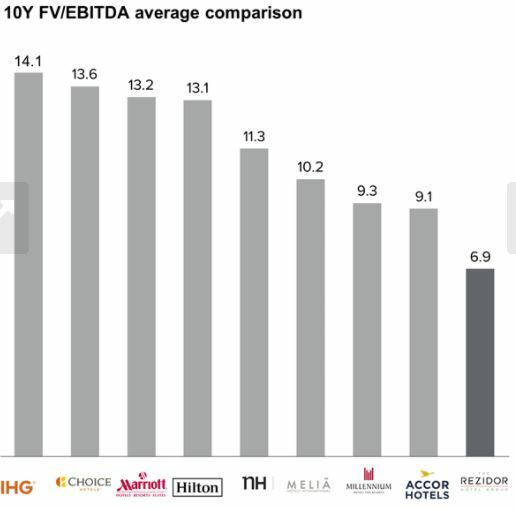 A few days ago Hyatt and PE firm Lone Star has showed interest in another of HNA’s smaller hotel holdings Spanish NH Hotel Group, where HNA’s stake is valued slightly below 1bn USD. 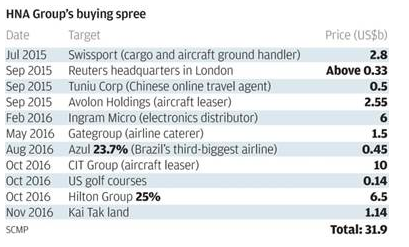 Except the unwind of the Deutsche position, it seems the main targeted holdings up for sale are HNA’s hotel assets. That brings me to my investment case, another hotel asset. Rezidor Hotel’s was back in the days, maybe somewhat ironically, part of another airline – Swedish SAS. The hotels back then where called Radisson SAS, when in 2006 they decided to list the company in Sweden and in the end divest its shares in the company. In 2012 american Carlson Hotels announced a merger with listed Rezidor to form Carlson Rezidor Hotel Group. Rezidor was still though listed as a separate entity and the new majority holder of Rezidor became the closely held company Carlson Hotels. This Merger Press Release explains the details of the plans at the time. 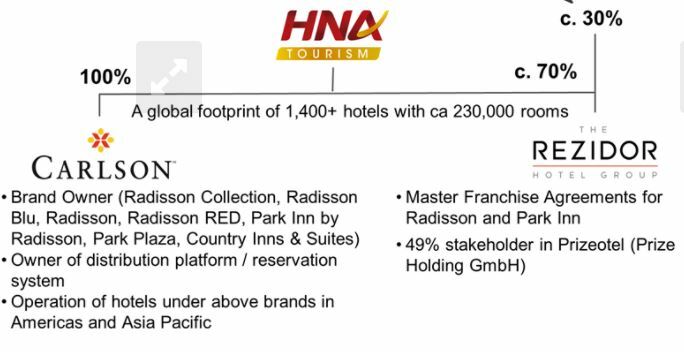 In 2016 HNA acquired the Carlson Hotels and thereby also became the new majority shareholder in Rezidor. During these years as a merged company, the hotel visitors to the old Radisson brand had to become “Club Carlson” members instead, as the two companies tried to at some level merge their operations and IT-platform. To summarize one can say that this merger has not been very successful for Rezidor, which in many ways lost a lot of its brand identity. This creates a somewhat confusing company structure where Carlson owns the brands and systems/platform. Rezidor can then be seen as the franchise taker of these brands under a master franchise agreement. HNA created another storm when they bought Carlson Hotels and that was with the small holding I mentioned earlier in Spanish NH Hotel Group. The other shareholders in NH Hotel went together to kick out the CEO (Federico González-Tejera ) and 4 board members, due to conflict of interest through HNA. 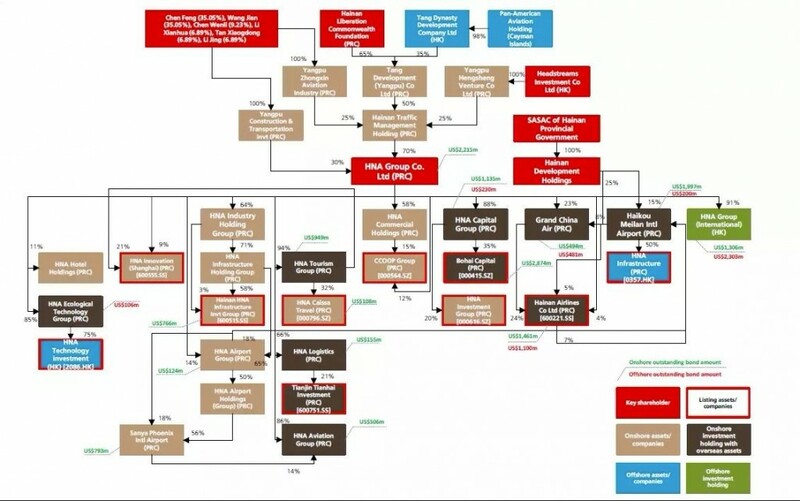 It seems that the hedge funds that plotted this also had some other motives in terms of getting HNA to bid for the rest of NH Hotel Group (which did not succeed). Federico González-Tejera about one year ago was announced as the new CEO of Rezidor Hotels. + Very low valuation compared to peers who run asset light models. + The opportunity for a stronger more stable owner to step in when HNA is divesting assets. + Transformation of company brand to Radisson already implemented. + Federico González-Tejera who actually seems to have done a good job at NH Hotel Group gives a solid impression to try to turn around Rezidor. – Complicated ownership structure as the franchise taker to Carlson. Brand and IT-platform run by Carlson group, the non-listed entity 100% owned by HNA. – If HNA does not divest we are left with a sketchy owner, although not a disaster if they can turn the business around, but not ideal. – Nordic and especially Swedish hotel market seems to have become somewhat over-saturated lately, which would hurt Rezidor which has a large portion of its operations in northern Europe. I see this stock as a classical turn-around case, with a HNA twist. The stock has been under performing peers really severely over the last few years. 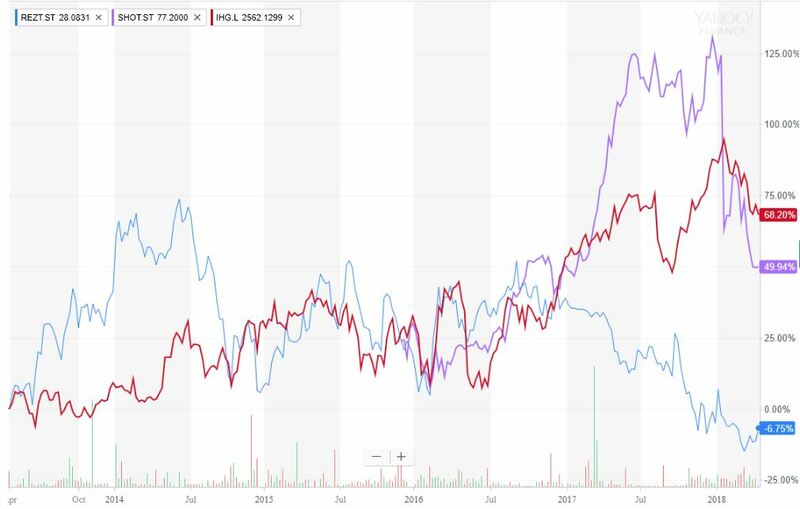 In general well run hotel companies has been performing very well over the last years, for example Intercontinental Hotels Group, a closer more local peer as Scandic Hotels has also done reasonably well since it’s IPO, whereas Rezidor has been in a 1.5 year free-fall. This is how they will re-brand their hotels and the membership club is now called Radisson Rewards. Since I have personally used this companies services and hotels over the years, I feel this is a clear step up, compared to their previous offering. Unfortunately I won’t have time to dive into all the details of valuing the company. Basically on all metrics this company is already trading at low multiples. This with margins much worse than competitors, meaning the market is not pricing in any margin improvement. There is plenty of room for upside if management can turn this around and improve margins. I’m impressed with the strategy the company has launched, so even if this continues to be a HNA holding there is definitely upside. But I think there is even more room for upside if a new strong owner comes in and buy Carlson & Rezidor. The odds for that right now looks pretty good. Another alternative is to just buys the Rezidor/Radisson assets and integrates it into an existing hotel platform. This position is somewhat more speculative and risky, given the HNA situation, so I take a more a smaller position here with 3% of the portfolios assets. It will be interesting to see how this story develops over the coming year. Just dropping by and saying hello from my part after your kind comments in my blog. Lot of excellent writeups here and obviously agree with your Rezidor analysis! Other question, what do you think about Philip Morris given the post-earnings drop yesterday? I remember you had some tobacco interest, you also hold Swedish match.. curious what’s your opinion. Yes that really caught my eye! I have to say I don’t know PM that well, although it has been on my watchlist for some time now. I really like that they are pushing so hard for all types of e-cigarette solutions, with IQOS being the best product, that would be my main reason for buying the stock. On a more general note, I feel something pretty big is happening under the surface now over in US. That consumer good related stocks also starting to tank. Look at giants like Procter & Gamble. It seems a lot of sectors are rolling over to a bear market, but on index level you don’t see as much yet, since wonderful Amazon, Apple etc are holding up decently. Again looking at Apples suppliers over in Asia, they have also tanked the last few months. See the stock price of Hon Hai Precision (aka Foxconn), the biggest supplier to Apple. Learning from TerrySmith better to bet on winning horses rather than on promising ones. 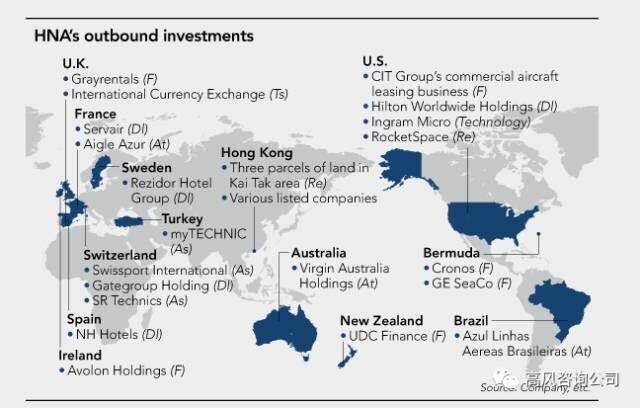 I would consider high-ROCE companies, which in the case of Asia, this could translate in China Sands or Galaxy Entertainment (similar investment thesis as in NagaCorp (https://quotes.wsj.com/HK/XHKG/3918/), thoguh, hence providing for limited diversification). Sands, Galaxy and to some degree Nagacorp are high ROCE as long as Beijing says so. That should be added into the risk-premium or as a digital written option or what not 🙂 Not sure if this was even directed at Rezidor, but this is a turn-around/buy-out case, very different from Galaxy like investments.